Rice is life for Cambodian People! Three times a day, Everyday rice is the main diet for the most Cambodian people i.e. for break, lunch and dinner. Rice is culturally used to make processing food and beverage such as cultural rice cakes, rice noodle, cooked rice and rice wine (boiled rice, fried rice, rice soup, rice porridge, steamed rice and steamed sticky rice). Rice is categorized into three varieties, early rice variety, medium rice variety and late rice variety and many types of rice with different colors, white, black, brown and red etc. Rice is grown everywhere in Cambodia by smallholder farmers, however lack of water source/irrigation system has limited many farmers to grow only one crop per year. Cambodian agriculture is still unproductive compare to neighboring countries in the region and the yield is only in between 2-4t/ha for rice production. According to CFAP’s study, 1ha of rice production costs about US$405.00 to US$500 in Ave. During our visit to all farmers’ organizations as members in Prey Veng province, those are Agricultural Development Cooperatives of Mongkul Mean Chey (ADCM), Phum Yoeung Agricultural Development Cooperative (PYADC), Thkov Agricultural Cooperatives (TKAC) and Rithy Ta Aung Agricultural Cooperatives (RTAAC) included Phum Kantrean Agricultural Development Community (PKADC). Rice price in harvested season is around 700-900KHR/Kg or US$0.175-US$0.225/Kg. Smallholder farmers in Cambodia normally received in between 1,400,000.00KHR to 3,600,000.00KHR/Ha or US$350.00 to US$900.00/Ha from rice production per crop per season. Rice seed, however has higher prices compared to feeding rice. Fragrant rice seed costs about 2500.00KHR/Kg. Majority of smallholder farmers still use traditional practice even though new technology has provided by farmers’ organizations, development agency, UN and the government, however they seem reluctant to apply new practice as it is too new and they feel complicated to apply, moreover the price is sometimes not balance between cost production and income. Agricultural machinery like tractor, harvested machine and, etc has increased in recent years to instead of animals for draughts. 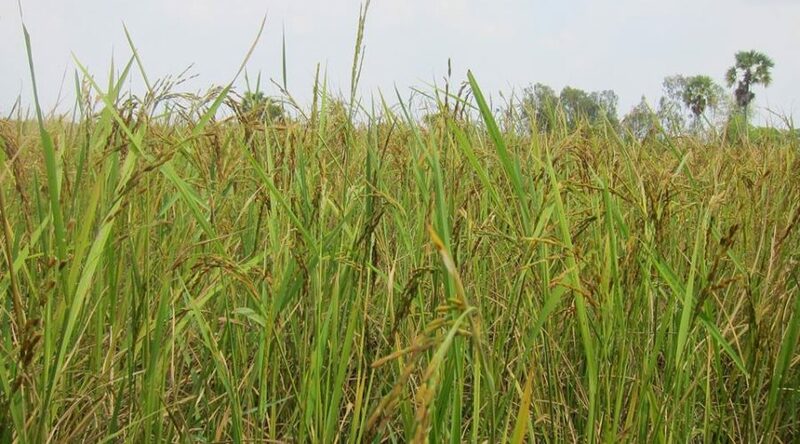 Smallholder farmers have limited knowledge on rice processing, packaging and transportation, therefore losses in posted harvest are always concerned. There is also limited capacity of farmers’ organizations to get access to warehouse and rice mill for rice storage and marketing while most of farmers’ organizations in Cambodia are still depending much on external support. To achieve the agricultural sustainability, therefore smallholder farmers must be specialized in agriculture, product processing and economic initiatives within the community. Moreover, farmers’ organizations must be specialized on service delivering to farmer members and making sure that farmers’ organizations get access to water, soil testing, technology, finance, market, good policy of the government to support agriculture and farmers. Farmers must not be in the position of producers, but also the suppliers and traders.